Terry immigrated to New Zealand in 2003 with more than 25 years of experience in various investment fields including acquisitions and private equity fund management in China andother overseas countries. 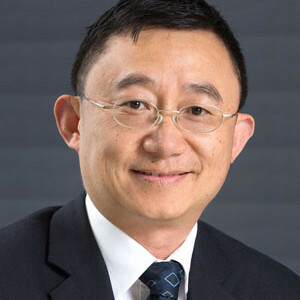 He is the former Chief Executive Officer of Pengxin Investment Limited and re-joined Pengxin in 2009 representing the Group in New Zealand and Australia as Managing Director of Milk New Zealand Management Limited, Managing Director of Top Harbour Limited, Director of Pengxin New Zealand Farm Management Limited and Director of the SFL (Synlait Farm) Holdings Limited. Major transactions led in New Zealand include the acquisition of Crafar Farms (2012), Gulf Harbour Land (2012), contracting Miraka for Theland UHT (2013), Synlait Farms (2013), Queenstown Hilton Hotels and Light Quay Debts (2014) and Spark City Building A and D (2014).